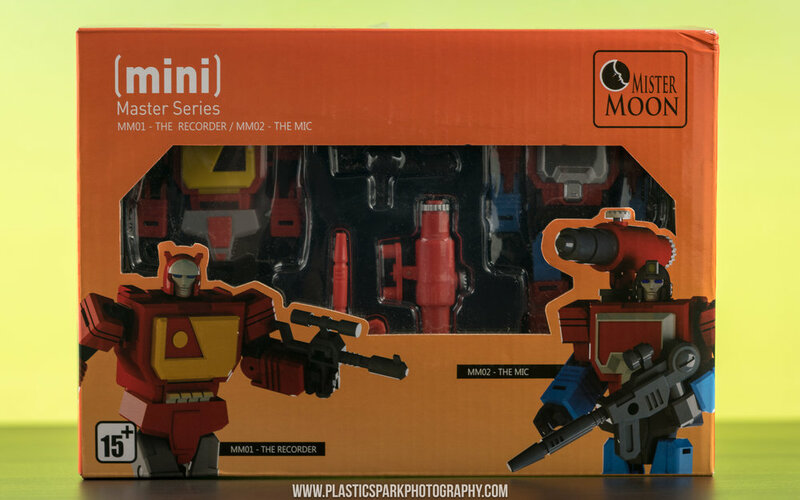 New comers to the third party legends scene, Mister Moon's first release is a two pack of "The Recorder" and "The Mic" aka Blaster and Perceptor. Both toys share a common mold with small changes to make each look like their corresponding character. The final product turns out quite impressive and despite their shared designs they still look distinctly like the characters they represent. My only critique on the aesthetics are the faces, they look almost skeletal and hollow in the eyes. This is due to the eyes being a separate piece and I think could be resolved with a little bit of paint on the inside of the face component to remove those black outlines around the eyes. The alt modes are fairly basic but work well enough. 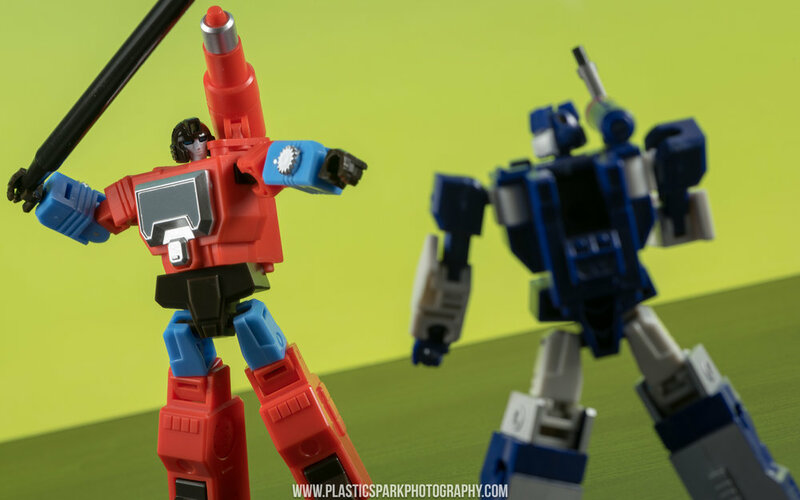 Blaster can be carried around by Masterpiece figures with articulated hands! Articulation is well executed for a legends class with the only glaring omission being an ankle tilt/rocker. I was very happy to see bicep swivels and waist swivels putting these guys a few steps ahead of the "Hot Soldiers" Soundwave that I picked up last year. 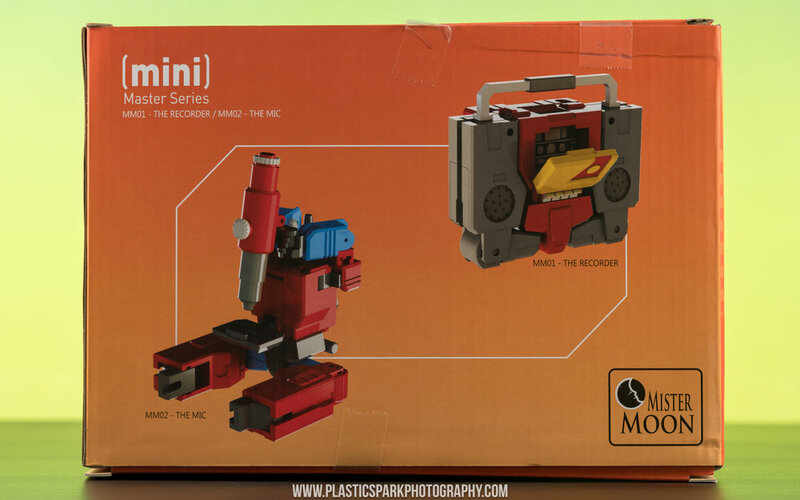 Accessories are included for both figures, with Perceptor taking the lion's share. 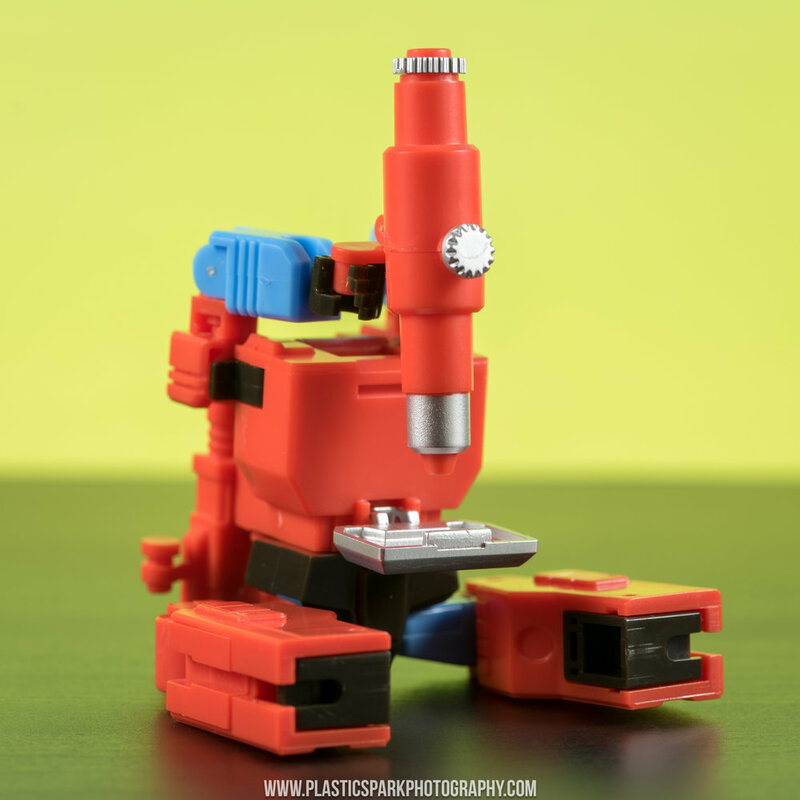 His shoulder cannon/microscope barrel pegs into his should and can be adjusted to your liking. 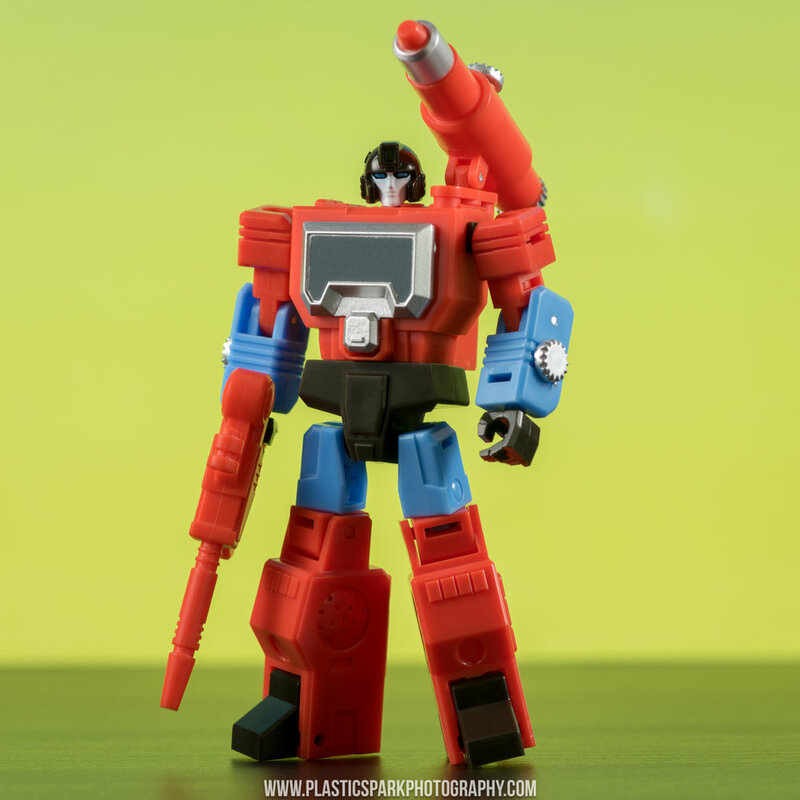 There is also a blaster moulded in red plastic similar in style to Perceptor's classic G1 weapon. Blaster get's a plain black weapon sculpted to resemble his G1 gun as well. Sadly there are no tapes included for Blaster. 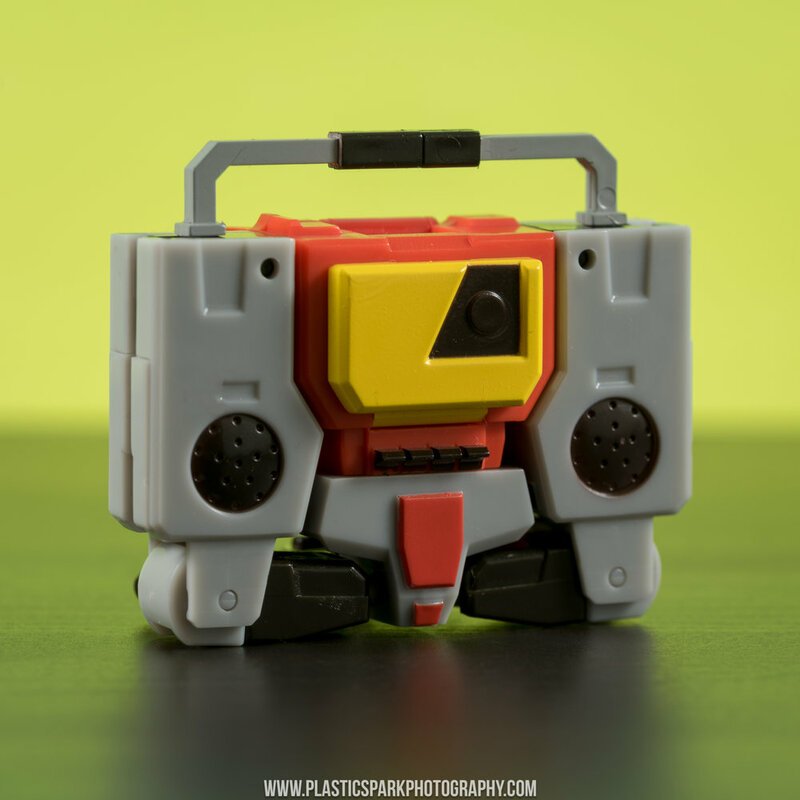 Normally I'd give this a pass but considering what Mech Planet did with their Soundwave, I feel like a similar effort could have been made here. All in all this is a satisfactory set that would fit in well with many of the War in Pocket style releases from DX9. Aesthetically and size wise these do not fit with Iron Factory imo. 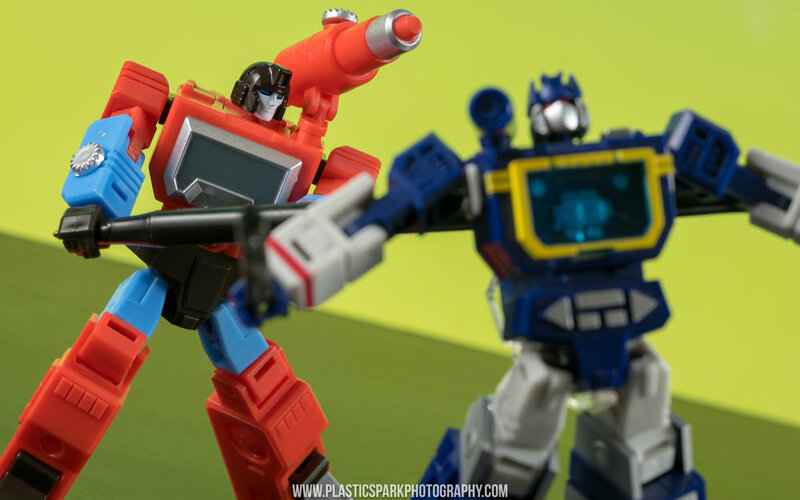 The price is a little high, so it might be worth waiting on a sale to pick these guys up unless you're a huge Blaster/Perceptor fan. Thank you for taking the time to check out my review of the Mister Moon - (mini) Master Series MM01 & MM02!